John Brennan On The FBI-Apple Standoff, ISIS And His Future At The CIA : The Two-Way CIA Director John Brennan sits down with NPR's Mary Louise Kelly for a wide-ranging interview at the agency's headquarters in Langley, Va.
CIA Director John Brennan discussed ISIS, the FBI-Apple dispute over an iPhone, the state of the Iran nuclear deal, and his future plans as President Obama's term draws to a close. 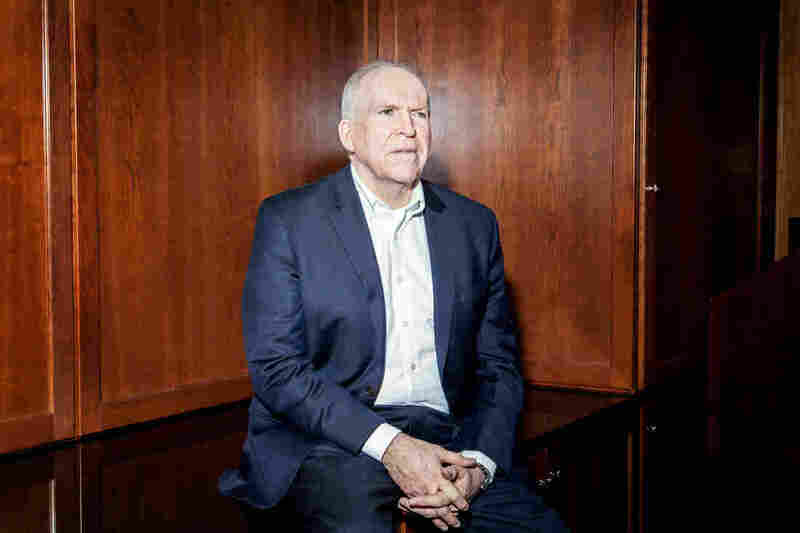 BRENNAN: What would people say if a bank had a safe-deposit box, or a storage company had a storage bin, that individuals could use and access and store things, but the government was not going to be able to have any access to those environments? And so criminals, terrorists, whatever, could use it. So what is it about electronic communications that makes it unique in terms of it not being allowed to be accessed by the government when, again, the law, the courts, say that the government should have access to it? So these are things that need to be worked through. MARY LOUISE KELLY: Is that a yes, that you think Apple should be forced to help the FBI in this case? BRENNAN: I think that the FBI clearly has a legitimate basis to try to understand what is on a phone that is part of a very active investigation; again, consistent with what their responsibilities and authorities are. 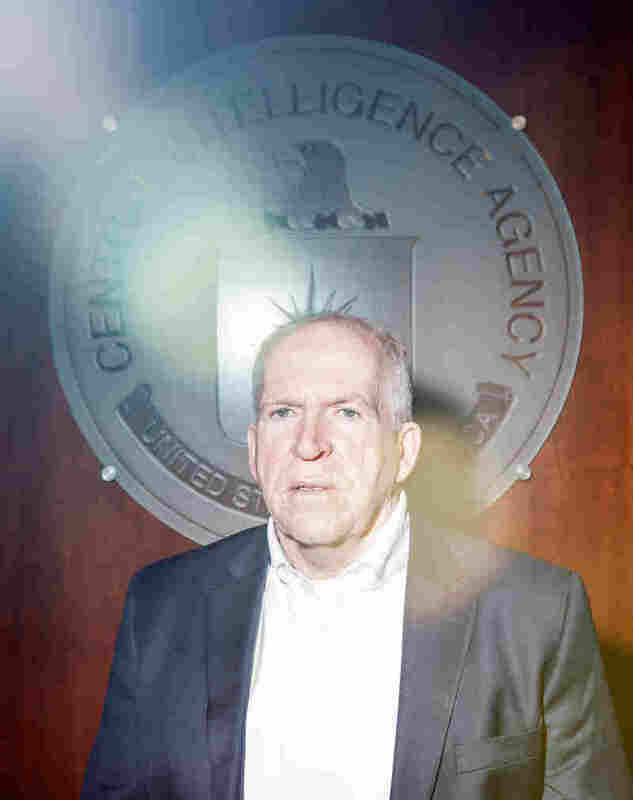 BRENNAN: There is greater global attention now to ISIS than there was to al-Qaida after 9/11, because I think people felt as though al-Qaida was really focused on the United States and the West, while ISIS has a much broader array of targets. It has a very strong anti-Shia aspect to its engine of terror. It also is going into areas where al-Qaida never even ventured. So I think it's seen as more of a threat, not just to individuals, but also to economic and commercial and other types of interests globally. ... It's much larger than al-Qaida ever was. BRENNAN: It's much smaller, it's been neutered in many areas. But it still has a fair amount of capability when you look at Yemen — al-Qaida in the Arabian Peninsula. Al-Qaida still exists inside of Syria — Jabhat al-Nusra. And then you have al-Qaida core in Pakistan-Afghan area. So it's still a lethal organization. It has been contained in many respects. It has been bloodied and damaged. But it's still out there. BRENNAN: If he were to be captured. ... As his name suggests, al-Baghdadi, he's an Iraqi. We work very closely with the Iraqi government and the security intelligence services. And depending on where he was captured, I think whatever prevailing legal systems were there at the time, it would be addressed that way. So a lot of these individuals are put into the judicial system or the penal system of the country where they're captured. KELLY: Even though it's incredibly complicated where you put them now, and how you interrogate them? BRENNAN: See, I don't think it's incredibly complicated. I think sometimes there are challenges, again, depending on the circumstances. But usually, we work in concert with our partners around the globe — law enforcement, security intelligence agencies. ... We always look for opportunities to capture individuals, to arrest them. There is a determination made whenever the U.S. government decides to conduct a direct action against individuals, that there is not the option to capture them. And that calculus takes into account what the risks might be to the forces that would be used to capture. BRENNAN: I don't know when I will leave CIA. There are three people who determine that: the president, whether it's this one or the next one, myself, and my wife, who's been my partner for the last 37 years. She gets a vote in this, and I think will vote. KELLY: Did you just open the door a tiny crack to staying on in the next administration? BRENNAN: I think I have a daily contract with the president. I serve at his pleasure, hopefully not at his displeasure. ... And so as I said, three people will make this decision collectively, and I think any one of them will have the opportunity to veto my continuing or deciding that I should stay. BRENNAN: The intelligence work is not over in any respect. We need to continue to monitor, evaluate, make determinations, as well as provide input to the president, others, about how well Iran is adhering to that. So we're going to use the decades-long experience we've had following and watching the Iranian program to inform our assessments. BRENNAN: I'm not going to talk about anything that the CIA might be doing in that area. But the U.S. government has made it very clear that it supports the opposition, moderate opposition inside of Syria. ... There are a lot of various means of providing support to the opposition. And given that the opposition is a patchwork of moderates, as well as extremists, as well as terrorists, there is a need to make sure that any type of support that comes from the outside, whether it be from the United States or other countries, is going to support those moderate elements within the opposition, and not the extremists and terrorists. BRENNAN: I think he has found that he's in a bit of a quandary now inside of Ukraine, in terms of realizing his objectives. Now in Syria, he's had a relationship with the — Russia has had a relationship with the government in Damascus for the past 50 years, has invested a lot of money, and a lot of military support. ... Mr. Putin is very assertive, very aggressive. He pursues Moscow's agenda in a variety of means. He does it with his intelligence and security services when he wants to hide his hands, but also, he's doing it rather overtly right now, obviously, with the introduction of thousands of Russian military personnel and sophisticated weaponry inside of Syria. BRENNAN: When I welcomed the head of the Russian FSB, Alexander Bortnikov, to the CIA last year. And I walked with him across the lobby, across our infamous CIA seal there. It was rather surreal, that the head of the FSB and the head of the CIA were walking together.